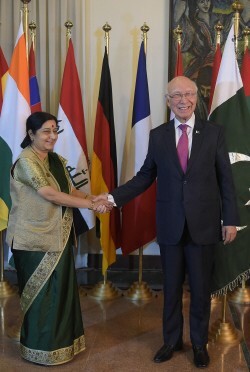 Indian Foreign Minister Sushma Swaraj shakes hands with Pakistan's National Security Adviser Sartaz Aziz at Pakistan's foreign ministry in Islamabad on Dec..
India accounted for $12.3 billion, or 40%, of the total of $31 billion of globalized engineering and R&D in 2015. 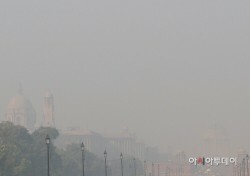 The photograph is the gateway of Indi.. 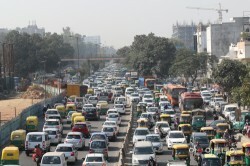 The Delhi authorities announced that in a bid to tackle the world's worst pollution, odd and even number vehicles will ply on alternate days in the capital.. Taxi apps have formed a global alliance against Uber. 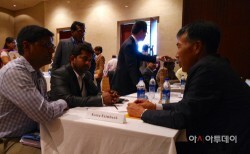 Didi Kuaidi in China, Ola in India, Lyft in the US , and Grab Taxi in East Asia are developing a comm..
Kang Soon-ki, the Chief Representative of Korea EXIM Bank's New Delhi Office, is counseling with Indian company officials./ Photographed by Ha Man-jooBy Ha..
What India can learn from Korea's New Village Movement? 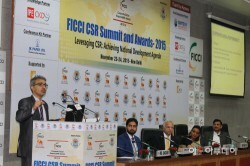 "The CSR activities should combine the philosophy of Saemaul Movement," said Sandip Kumar Mishra, a professor at the University of Delhi, at the FICCI CSR..
Lee Jung-hwan, general director at Culture, Tourism & Sports Bureau of Jeju Special Self-Governing Provincial Government, watches a video introducing J.. 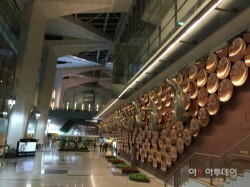 The participants of the festival celebrating the 569th birthday of Hangeul, hosted by the Centre for Korean Studies at Jawaharlal Nehru University, take a.. 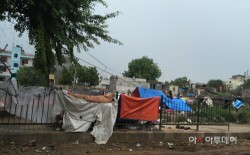 Since Narendra Modi took office, India's economy is growing rapidly. However, Indians living in roadside can be easily seen even in capital New Delhi./ Pho..
U.S. Secretary of State John Kerry (center) shakes hands with Japan's Foreign Minister Fumio Kishida (left) and India's External Affairs Minister Sushma Sw..